October 31, 2012 / P.J. Ah, Halloween – the one day of the year where tradition and inhibition take a holiday and let exhibition and fright run amok. In disc golf, which is already an industry that veers away from convention more often than not on a daily basis, it is an opportunity for both manufacturers and retailers to step outside of their usual routine and add a little flourish with unique holiday stamps encompassing both the aforementioned tradition and exhibition. 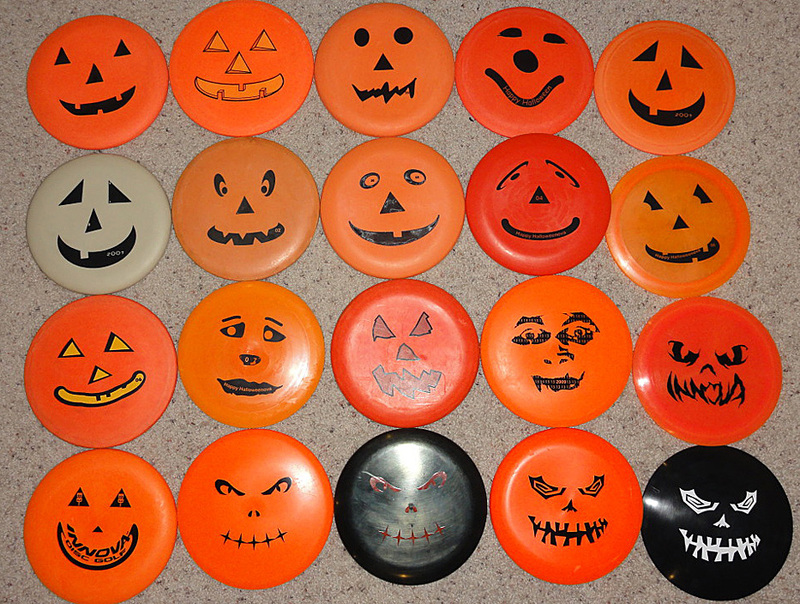 Take, for example, Innova Champion Discs and its annual pumpkin discs. Each year, the company releases jack-o-lantern-stamped DX Aviars, DX Rocs, and other assorted molds that give golfers a fun way to ring in the season. The idea was born out of simple fun and spontaneity, according to the discs’ creator. Schwarz took the idea to his boss, received the green light for the project and designed the inaugural pumpkin stamp. But it wasn’t something that was a big deal at the time. Jump ahead a decade and a half, and pumpkin-stamped Aviars are a yearly staple for Innova that customers look forward to. “We have people calling us, somewhere around the first part of September, saying ‘Are you going to put out pumpkins this year?’” Schwarz said. While Innova’s designs cater to those seeking a time-honored look, disc golfers wanting an edgier feel can go to online retailer Disc Nation, now in its fifth year of producing Halloween-inspired stamps. Zachary Kelbaugh, Disc Nation’s marketing manager and in-house artist, has been conjuring the company’s designs since their second iteration in 2009. For him, Halloween is a chance to challenge the boundaries of what is commonly acceptable on a disc. Case in point: Disc Nation’s 2011 Halloween stamp, which featured a buxom vampiress licking a disc. 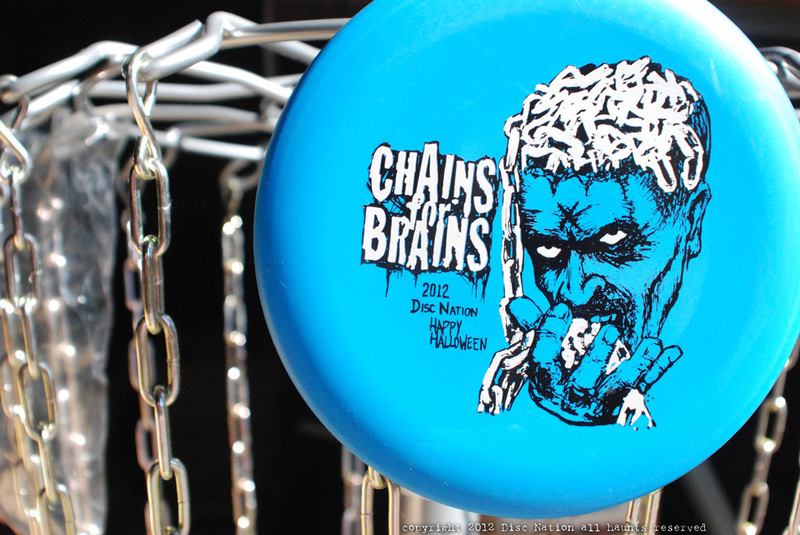 This year, Kelbaugh brought the obsession many have with disc golf straight to the stamp with his Chains for Brains design. As both Disc Nation and Innova continue to bring intriguing ideas to the fold each fall, the conundrum of which discs on which to display their creations is an exercise in appealing to the masses. 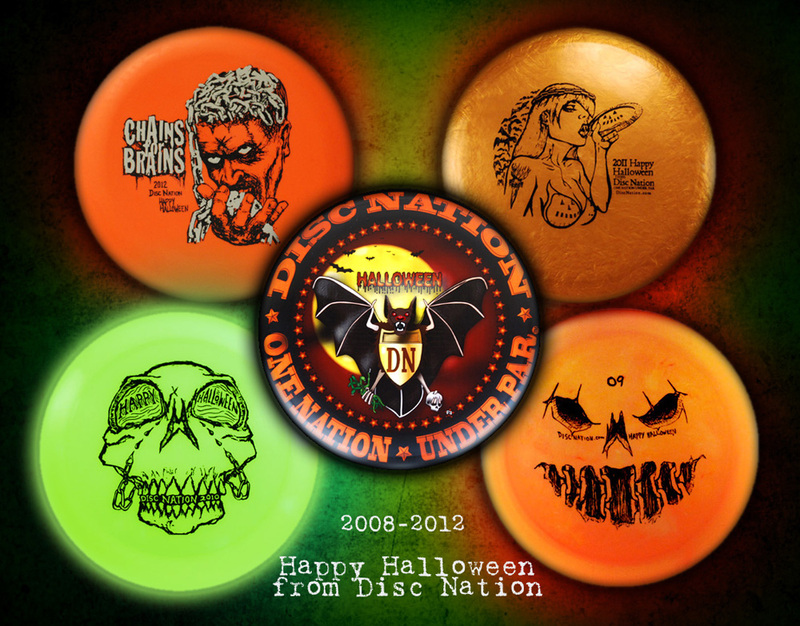 Disc Nation has come up with some fun designs for Halloween for five years. Kelbaugh said that for an online retailer with a broad customer base, their disc choices try to reach those looking for inexpensive throwers and wall-hangers alike. He pointed to this year’s double foil Omega SuperSoft as one that has garnered a great amount of attention, resulting in more than one run of the discs being produced. “By the time we listed them, they were pretty much gone,” he said. And with Halloween coming only once a year, Schwarz has seen a collector market develop for his companies’ creations. Similarly, Kelbaugh understands the value in keeping the supply of Halloween discs to a healthy minimum. But even if players acquire a smattering of ghoulish discs from various suppliers as the time goes on – and they can add another to the list, with Legacy Discs releasing a Halloween-stamped Ghost mid-range this year – Kelbaugh said he sees a kind of unity among all of them, regardless of the source. And for both artists, Halloween discs come down to one simple ideal – enjoyment of the season. “It’s always been one of my very favorite things that we do,” Schwarz said. Cool article. 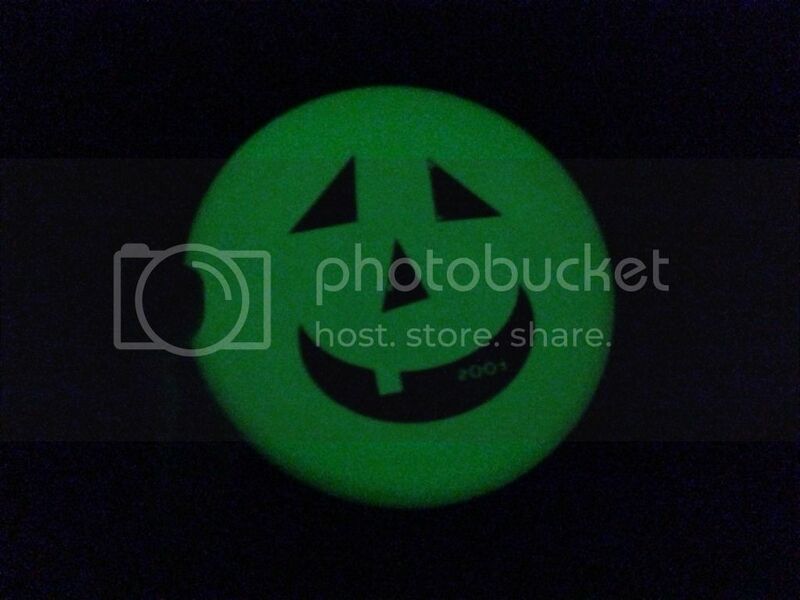 You forgot about the special edition halloween buzzz from a few years back I thought those were worth mentioning.